Marina Dunbar was born in Minsk, Belarus and moved to the states when she was 9 years old. Based in Columbus, Georgia, Dunbar graduated with a Bachelor's Degree in Fine Art from Columbus State University. 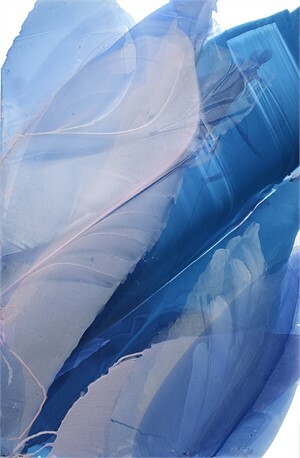 Dunbar's paintings are nature based abstractions driven by an exploration of movement, color, harmony and balance. 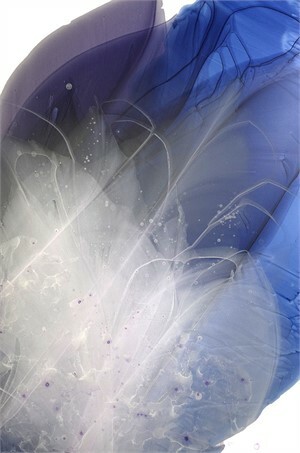 Watercolor lends itself to the build up of layers, capturing traces of time and revealing an ethereal clarity. 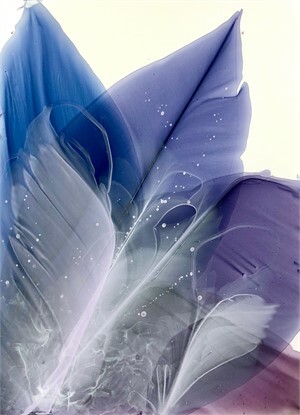 She is inspired by the aesthetics of floral x-ray photography, developed by a radiologist in the 1930’s, this documentation of plant forms resulted in a poetic merge of art and science. The minimal and reductive photographs conveyed an intrinsic beauty. Taking from their simplicity, Dunbar approaches her paintings with a sense of restraint; laying down transparent shapes of color and letting the interaction of hues establish a feeling of depth and dynamic motion within each piece. Her relationship with the medium is very physical. The surface of a painting is bent, manipulated and twisted to guide the paint, granting the process a sculptural quality. Through simple gestures of pouring and removing paint, gravity shapes the lines and forms that start to resemble organic elements. Each painting seeks a level of reservation as well as an embrace of spontaneity. Marina Dunbar was born in Minsk, Belarus and moved to the states when she was 9 years old. Based in Columbus, Georgia, Dunbar graduated with a Bachelor's Degree in Fine Art from Columbus State University. 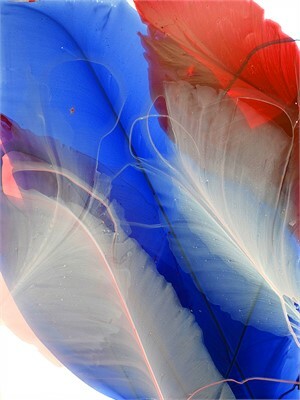 Dunbar's paintings are nature based abstractions driven by an exploration of movement, color, harmony and balance. Watercolor lends itself to the build up of layers, capturing traces of time and revealing an ethereal clarity. 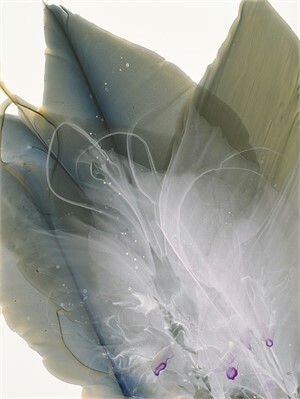 She is inspired by the aesthetics of floral x-ray photography, developed by a radiologist in the 1930’s, this documentation of plant forms resulted in a poetic merge of art and science. The minimal and reductive photographs conveyed an intrinsic beauty. Taking from their simplicity, Dunbar approaches her paintings with a sense of restraint; laying down transparent shapes of color and letting the interaction of hues establish a feeling of depth and dynamic motion within each piece. Her relationship with the medium is very physical. The surface of a painting is bent, manipulated and twisted to guide the paint, granting the process a sculptural quality. Through simple gestures of pouring and removing paint, gravity shapes the lines and forms that start to resemble organic elements. Each painting seeks a level of reservation as well as an embrace of spontaneity.